Ch. 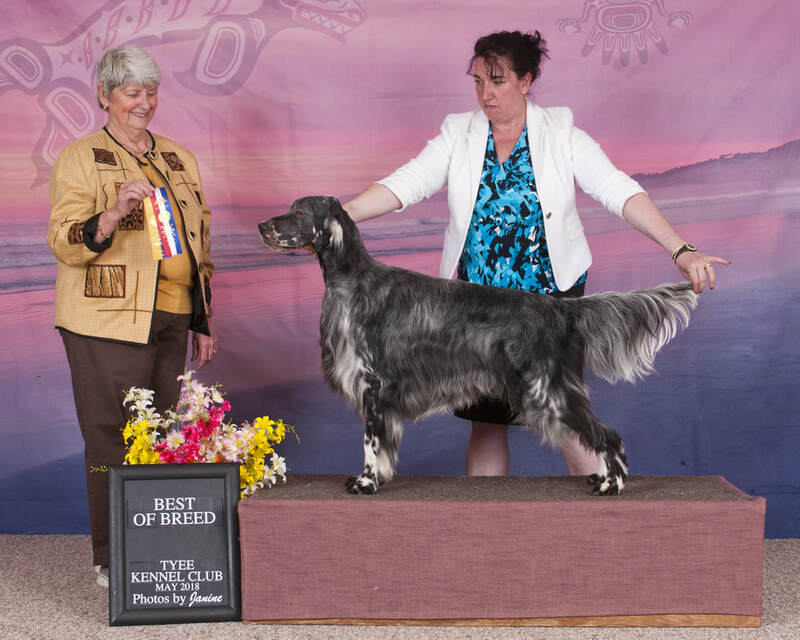 Plaisance King of The Lyrics aka Michael shown going Best of Breed at the Tyee Kennel Club shows in BC in May handled by his buddy, Siona. Michael is owned & much loved by Leslie Ann Davey of Ladysmith, BC & is co-owned by Erin Leblanc, his co -breeder. Michael completed his Championship in very limited showing. He also has 4 points towards his Grand Championship.